As Executive Director since August 2011, Shannon is proud of how she has grown the OWC by investing in fund development, communications, and outreach. Under her leadership, the OWC has doubled its revenue and tripled its staff, boosting its ability to engage citizens in improving the health of the watershed. Shannon’s passion for the environment stems from growing up in the boreal forest outside of Thunder Bay, Ontario and studying Environmental Science at the University of Lethbridge. Her past work experience for MULTISAR and the City of Lethbridge focused on environmental education and engaging communities, which she believes are most critical to achieving sustainability. In 2016, Shannon was nominated to the Lethbridge Chamber of Commerce Top 40 under 40 for her contributions to the community. Shannon and her husband spend their time building their home in Lethbridge and enjoy fishing and kayaking on rare days off. The Oldman Watershed Council has a new Office Manager: Kallie Desruisseaux. As Office Manager, Kallie is available to help with many aspects of the Council, including dealing with new and renewing memberships, donations, tracking in-kind volunteer hours, and more. Kallie was born and raised in rural Southern Alberta and attended the University of Lethbridge, graduating with a BA in Philosophy (Honours with Great Distinction) in 2008. She wrote Canadian Institute of Chartered Accountants Uniform Final Evaluation in 2013, achieving the National Honour Roll. Kallie and her husband, Wallie Desruisseaux, own and operate their family business, Kapow Ltd., Comics & Games, which continues to grow and operate in Downtown Lethbridge. Their young son, Oliver, is quickly growing out of his toddler years and becoming a full-blown kid. As someone who grew up on a riverside acreage serviced by well water, Kallie appreciates the importance of water management. She is excited to be a part of Oldman Watershed Council and hopes to help make a positive difference in promoting the health and resiliency of our shared water, land, and wildlife. Anique is a Co-op student from the University of British Columbia who will be joining the Oldman Watershed Council until the end of March. Her love for the environment lead her to study Natural Resources Conservation at UBC, where she is currently in the top ten percent of her class. Majoring in Global Perspectives, an internationally focused program, Anique seeks to combine her interests in the environment, people, and travel to work with communities and sustainable resources. Born and raised in Lethbridge, Anique is glad to be back in the sunny prairies, albeit for a short time. She is looking forward to applying what she has learned in her studies to her work with the OWC and gaining experience through engaging the community and contributing to the health of our watershed. 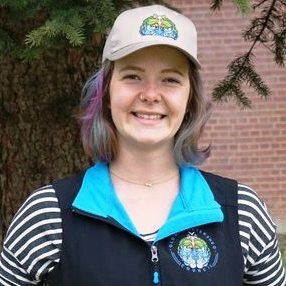 Since joining the team in 2015, Sofie has been managing the education and outreach for OWC, including the Engaging Recreationists project, in order to promote watershed literacy and cultivate a strong sense of place. She is also a Project WET Canada facilitator. Prior to joining the team at OWC, Sofie worked as a science educator at the Royal Tyrrell Museum in Drumheller. She has also worked as an interpreter for Alberta Parks, and has conducted pasture research, fuelling her fascination with southern Alberta. Having grown up in rural Alberta, the outdoors is a large part of her life. Sofie spent two years abroad for her graduate studies, working with an international cohort of students and exploring ecosystems as diverse as the Baltic coast of Germany, the Fenno-Scandinavian arctic, and the semi-arid rangelands of Central Asia. Sofie earned a Master of Science in Applied Ecology from the University of East Anglia in Norwich, UK and a Bachelor of Arts in Environmental Studies from the University of Alberta Augustana Campus in Camrose. 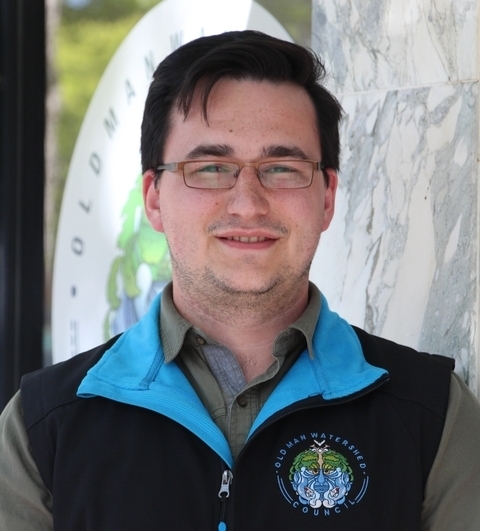 As Communications Specialist, Jon brings a wealth of creative expertise and communications experience to the Oldman Watershed Council. 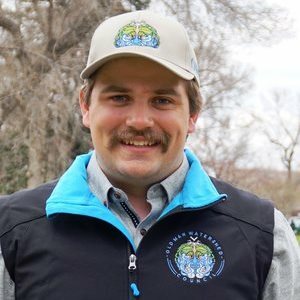 He is excited to build on the work that has been done by the OWC and contribute to watershed literacy, health, and stewardship. Growing up in the Southern Alberta prairies, Jon’s interest in the environment features in his soundscape compositions, where sounds from the natural world are captured and used as the source material for musical works. His past positions at the University of Lethbridge, Lethbridge College, Green Recording Company, and the Southern Alberta Art Gallery have focused on media-based education, technology, creative development, and communications, and inform his strategic approach to information dissemination and community engagement. Jon completed his master’s degree at the University of Lethbridge and was awarded the graduate Medal of Merit for academic excellence for his work in psychology and electroacoustic music composition. His work has have been featured in film, television, ad campaigns, gallery exhibitions, and conferences, including an installation at Burning Man Festival in the Black Rock Desert, at the National Music Centre in Toronto, and in a permanent exhibit at the Royal Tyrrell Museum in Drumheller. He is inspired by travel, creative potential, innovative processes, and research in the field of cognitive psychology.